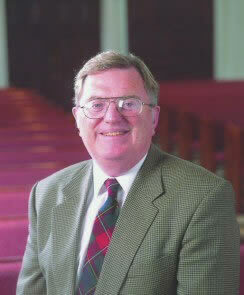 Gerald Bray is a British theologian and a prominent scholar of Church History and Historical Theology. To my regret, I only discovered this last night. God does indeed “move in a mysterious way”, as the old hymn-writer William Cowper wrote in 1773, and last night, in the early morning hours, it just so happened by God’s providence that I struck up a brief conversation with Prof Bray on Facebook, totally out of the blue. At the time I did not know who he was, but we chatted briefly about classical studies and historical theology, before I found out about his new book God has Spoken: A History of Christian Theology, which is due to be published by Crossway in October 2014. It did not take me long afterwards to realize that I was in fact conversing with a major figure in the exact field of inquiry which I take most interest in: historical theology and church history. I am therefore very thankful to God that He has ordained our “incidental” conversation by His providence. Prof Bray was very kind and generous to me and blessed me with a transcript of this book, which I can’t wait to get into, though I am also waiting in anticipation for the hard copy to be released this time next year. I would advise the readers of this blog to look out for this book when it finally comes out from Crossway publishers – I have only had time so far to browse through the index and from the little that I’ve seen it looks extremely promising!